I am a daily commuter to Bengaluru on work, using the Vishwamanava Express (17325/17326). 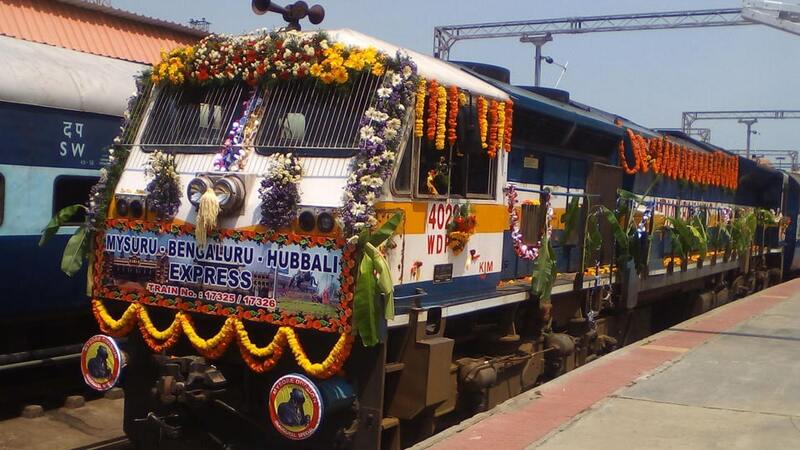 It is amazing that this train starts from Ashokapuram (while on its way to Hubballi via SBC Bengaluru) and stops at Ashokapuram (while on its way from Hubballi via SBC Bengaluru). It is really useful to all the citizens of Mysuru who reside in and around Ashokapuram Railway Station. However, on behalf of thousands of passengers, I request the Railways to stop this train (on both sides) for just ONE MINUTE at the Chamarajapuram Railway Station also. This will help the citizens who can use this train, residing at Chamarajapuram, Krishnamurthypuram, Saraswathipuram, Jayanagar, KG Koppal, parts of Kuvempunagar. If this train stops at Chamarajapuram, then the traffic jam and chaos at Mysuru City Railway Station reduces by 50% for sure, which is good to manage by the Police and Rail staff. Hope the authorities concerned will consider this suggestion and provide a stop at Chamarajapuram Station.